Fahri Kaan Toker was born in 1974 in Istanbul. After his High School education at the Lycée de Galatasaray, he did his Bachelor’s and Master’s degree in Business Informatics in German at the Marmara University in Istanbul. In 1999 F. Kaan Toker founded his own company Vizyon Net a software development company specializing in business process management. As the owner and founder of his company he led several product and business development strategies. Since 2008 F. Kaan Toker is a member of the Allianz Turkey family. 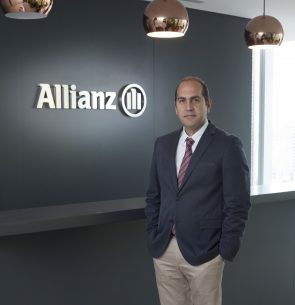 He started his profession at Allianz Turkey as the Manager of the Program Management Office and continued with diverse roles as Transformation Projects Manager, Head of Claims and Director of P&C Operations. With the agile organizational transformation of Allianz Turkey, Toker appointed as the first Agile Leader and started to direct the Motor Tribe Office. As of January 1, 2019 he will continue as Chief Operating Officer and Executive Board Member.